So I haven’t been feeling well for a while, about a year and a half or so. I’ve lost track a bit really. What with moving countries and houses and children and the hard times of life, I sort of forgot what feeling healthy was like. Last year, after a bout of symptoms I couldn’t ignore, I sought help and was diagnosed with pernicious anemia, basically I can’t process b12 from food so I need to take injections to keep my health up. Okey doke, job done. But while many of the other symptoms went away the feeling of tiredness didn’t and after a super relaxing and restful christmas I’ve had to admit that I’m still tired but don’t know why. My own research indicated I probably have some blood sugar issues, but I also consulted with my Naturopath and she has made some dietary and supplement recommendations. The supplements are a bit of a mystery to me, some enzymes, some vitamins, and acid of some sort. Stephen’s done the reading on this one and seems happy that it is the right stuff. Apparently my mitochondria (whatever they are) might be having a bit of a hard time. I’m assured by Stephen that this is of some significance, something to do with electrons? Given that they are natural supplements and (unlike most pharmaceutical drugs) carry no risk of killing me I’m going to go with it and really hope they help. The food side of it is more my area. I spent most of last night pondering the suggestions my ND has given me, she’s recommending a diet of about 20/30% protien, 10% fat and 50/60% complex carbohydrate within each meal. Setting aside her disastrous assumption that I can work out percentages, that all sounds reasonable to me. I just needed to know what a complex carbohydrate was and I was good to go. I mean I know that they are slow burning energy sources and all that and I would put $5 on sweet potato being on the list but, essentially, what else am I able to eat? Well a lot as it turns out. Basically anything that is jolly healthy, natural and tasty seems to be on the list. Many fruits, nuts, brown rice and legumes, even wholewheat bread and various other whole grains such as oats are on there. Whoop! This was not as bad as I’d thought! I immediately thought of tons of things I could eat enjoyably, which is a good job really as I’ve also been recommended to eat more regular meals, about every 3-4 hours. So instead of frantically snacking on choccy biscuits when starvation hits around 3pm, I am to plan to eat and eat properly. Smaller, healthier meals spaced throughout the day. If you are thinking “Well isn’t that the way you should be eating anyway? I mean you are a grown up Emmalina after all.” I would heartily agree with you. If asked I would say that I love spinach, adore berry smoothies, will eat yummy chilli all day long and thoroughly enjoy a loaf of wholewheat bread so dense you could use it for the foundation of your house and still come back for more with extra jam please. But. Shall I tell you what isn’t on the list? Sugar. White flour. Chocolate. No toffees, biscuits, ice creams, cakes, muffins or sweet and delicious iced buns. Not a one. I double checked. Twice. You see it turns out that this stuff is basically sending me mental. I eat it, get a major high, dance around filled with joy for a short while, then feel utterly terrible, exhausted and aching. I’ve wondered for a while if I have a gluten intolerance but it turns out it isn’t so much the gluten as it is the sugar. Not just the granulated sugar that goes into all the lovely cakes, biscuits and treats I so adore making, but the white flour itself that metabolises like one big slab of Kendal Mint Cake (for my North American friends just imagine a minty slab of solid sugar and you are pretty much there). Oh and I can’t have white pasta either. But really I can’t bring myself to care about that too much just now. So it hit me. White flour is evil as far as my body is concerned. So is sugar. They are ganging up together, in their world of cakes and floofy breads, luring me in just to slowly kill me. Kill me to death. Well maybe not to death but it certainly isn’t doing me any favours. It’s not helping me jump out of bed in the morning, leap daintily downstairs crying ‘Who’s up for a 3 hour hike? !’ Which might be a good thing because I don’t think anyone wants to be friends with that Emmalina. But I would like to get up in the morning feeling as though I’ve actually slept. I would like to see 3pm as a midway point through the day rather than the time I would like to crawl under the sofa and just give up on life altogether. I’d like to feel 38 not 78. So I’m saying it here. I’m making a change. A big one. I’m also going to make a declaration which might sounds like a joke but actually isn’t. I’m a sugar junkie. I don’t just enjoy sugar, I use it. When I feel sluggish or tired I reach for the chocolate for a lift, when I’m hungry and dizzy and my brain can’t seem to come up with the straightforward idea that peeling an apple might be a good idea, I reach for biscuits. Not as a treat, but just to feel normal. Just to level off. Of course it makes the problem worse, it throws me even further out of balance. It’s a sticky plaster not a cure. And it’s poisoning me. “What’s with the drama Emmalina?” You might be wondering to yourself, “take a chill pill, hold some horses, calm down.” But I can’t. I need to get fully behind this idea, I need to realise the importance of all this in order to make proper changes. I need to see the truth and recognise that I need to live a different way if I am going to have this life I’ve dreamed of for so long. By seeing the sugar and the treats as the thing that stands between me and the life I want I can click that switch. The one that takes me from addicted and dependent to pushing through the withdrawal and out the other side. It’s not going to happen all at once, there are some bits that will evolve as we finish supplies and replace with alternatives (white rice for brown rice for example). 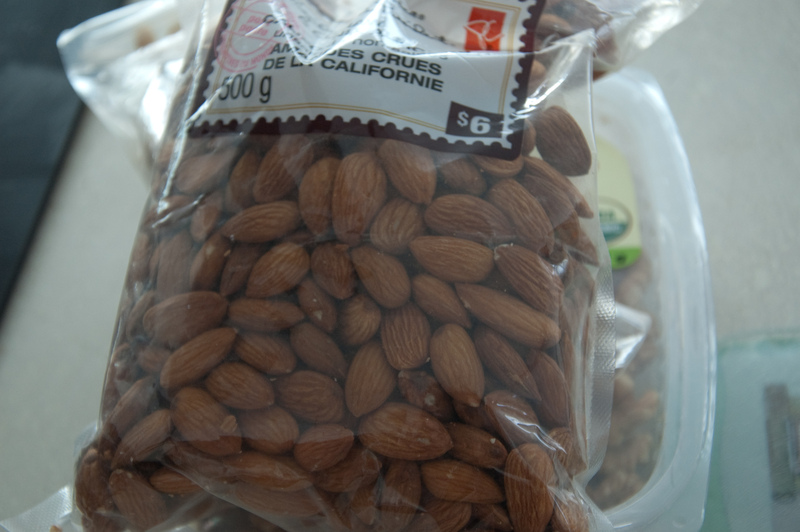 I will allow myself a few choccy covered almonds until the bag runs out, there will be a couple of choc drops in my home made energy bar while I get over the ‘hump’ part of changing my diet. I recognise that I’m in the initial euphoria stage and that I’ll have tough moments so I’ve come up with a cunning plan. I can’t take full credit for that one but if it’s good enough for the Baden-Powell’s it’s good enough for me. What I need to do is make sure that there are tasty and easy to reach foods on hand for when my sugar crashes and I suddenly become ravenous and need to eat now. 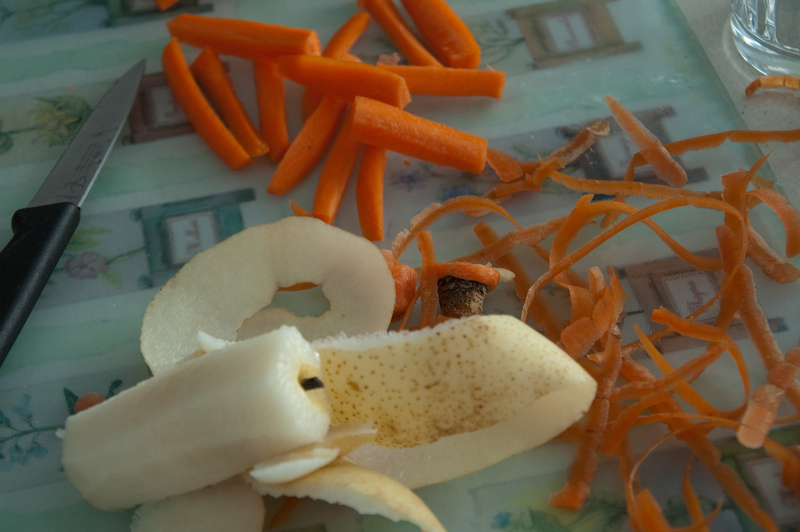 Carrot sticks pre cut, hummus in the fridge, plenty of yoghurt and apples, broccoli salad ready made. I don’t want to be a horrid fascist and ban everyone is my family from ever seeing a white loaf again, but as I do the cooking and I now know that this stuff isn’t really as nice a treat as I thought, I suspect there will be less around once the bags of white flour are gone. I’m also really grateful to have signed up for Heather’s Wholefoods Kitchen e-course, it has even more relevance for me now and I’m hoping for lots of tips on how complex carbohydrates and me can become even better pals. In the meantime I made a start. 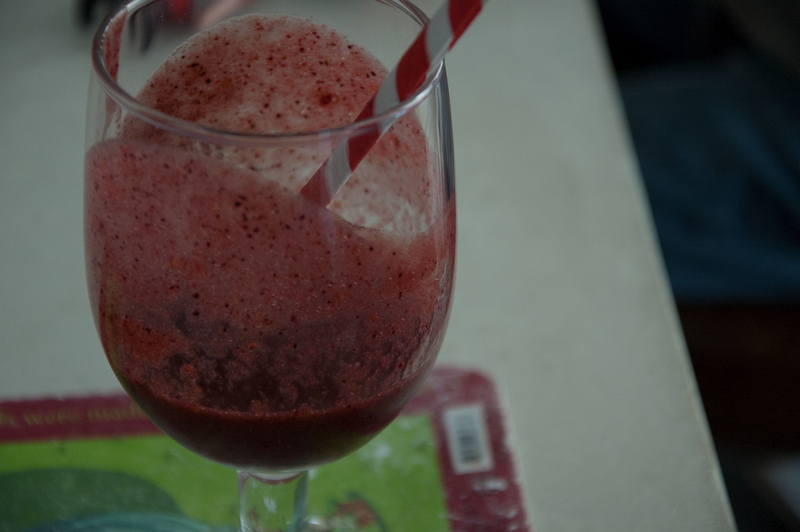 I had a berry smoothie with kale prior to lunch (and joy of joys Huwyl had two glasses aswell!) 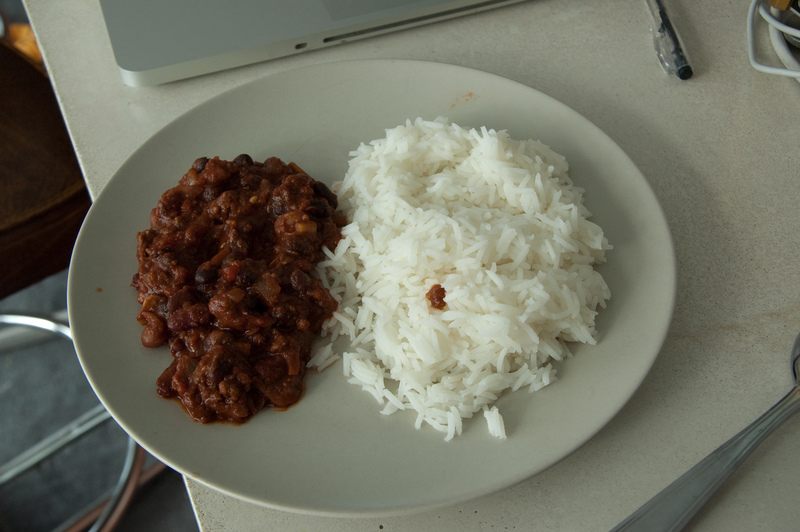 which helped me eat less rice with my delicous bean chilli, a few carrot sticks and a bit of hummus kept me out of the chocolate tin while the rice cooked and here I am, no pain, nausea, headache or suicidal exhaustion. I mean I could handle a nap but I don’t feel as bad as I have been. Well fingers crossed and I’ll keep you posted! Wish me luck on my journey to be free of the white sugar enslavement as I firmly pitch my tent in Camp Whole Food Lovers just near the River of Complex Carbohydrates. I hear they do a kicking smoothy. I’m sorry to hear you’ve been having difficulties with your blood sugar level, I have difficulties too. I have to have carbs before I do anything or go anywhere otherwise I just wither, my sugar level is pretty low and my best friends are oats, bread, pasta and potatoes and not the yummy sugary things that I sometimes prefer to eat. I find keeping something like a small pot of dried apricots in my bag or mango to work well for me. Like you if I have sugar I can bounce around the place which is great if I’m on stage for a few minutes but any longer and I’m just drained and want to cry! I hope you find a good balance and it turns out not to be as challenging as it may seem. So does this mean we should be blaming the Jones genes? It really seems that they are fully responsible! I suppose it is better than baldness or a tail but still! Looking at the ingredients here, do not allow the children to be in a locked room with you 30 mins after you have eaten. It could be a bit drafty and gaseous emmisions may overwhelm them and the animals (including Shawn and the deer in the woods) and people driving past on the 417 and Steve driving home and aircraft landing at the airport and astronauts on the space shuttle. Just to give a heads up on what happened to me! To be fair you need no beany assistance in the windy department! I shall be sure to alert all concerned if too much broccoli is being consumed! Good luck Emma for this mission, twill be tough sometimes but you’ll make it because you’ll enjoy the benefits even more than the sugar (spoken from true experience!). Thanks my friend, it is interesting to me how many people are dealing with this same issue. I have to admit I’m looking forward to eating a fresher and more nourishing diet, I’m certainly ready to feel better! Sigh. I feel sad that you’ve been feeling so sluggish and cruddy. But also, I feel sad for sugar. It will miss you. But once you stop eating those things we all crave, you’ll stop craving them! True story. And wasn’t it Julia Child who said, “everything in moderation, including moderation?” You’ll still have a treat every now and then, and your body will be all: I’m a healthy mutha! Go ahead! Eat that treat! I’m ready. Bounce wit me. Now THAT is a movie my friend. Man, White Flour is gonna be pissed. I struggled with Blood Sugar issues for years. White sugar=white flour – your are so right. Your body sees them as the same thing. I know you can do this – and you are great inspiration for me as I review my diet. Just as an aside – beware the dried fruit. I still remember a spear of dried mango sending my blood sugar out of control and into a 3 day migraine spin. I still can;t even look at it. Dried fruit is very heavy on the sugars and will just soike your levels up fast – then be prepared for the crash. Oooo thanks for the top tip my best health guru! I’ll watch out for that for sure. I’m kind of focusing on smoothies, veggies and trying to reduce my grains intake, especially the White Flour of Doom! I’ll be picking your brains in the future for healthy ideas too. 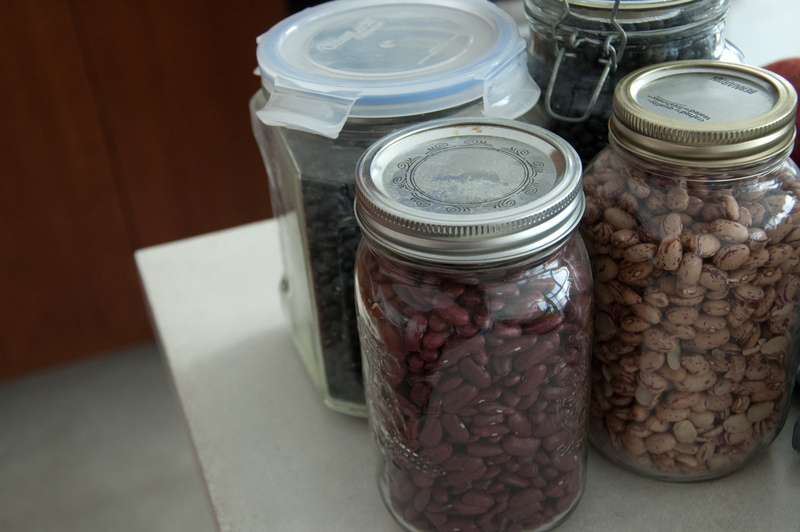 I need more beans recipes! I’ve been hearing a lot of people saying the same thing lately. My friend Julieta is also giving up flour and sugar for the same reasons. I think you would enjoy her blog (pancakesandfrenchfries.com). I too would like to try to limit them as I have not been feeling my best after eating. It will be a hard transition as I loooooove sweets. I read somewhere that having high blood sugar makes you look older. Yikes, who needs that?